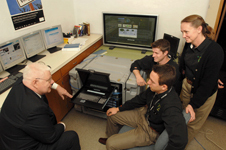 The Information Assurance Program (IAP) at Idaho State University is the home for the Scholarship For Service (CyberCorps). Information Assurance is critical to defending critical infrastructure world wide. The IAP defines new directions and leads students to the beginning of a life-long learning process that helps them continue to define the future. The IAP program emphasizes Information Systems and security skills in all organizations and many technical disciplines. Graduates from the IAP are information systems professionals with a broad spectrum of both technical and managerial skills. They use these skills to integrate information from seemingly disparate disciplines (national security affairs, information systems, computer science, business, and operations analysis) into a coherent plan to support enterprise operations. All IAP students are aware of the full spectrum of threats and vulnerabilities in information systems. They are skilled at protecting data, information and the means of processing them. They recognize that Information Assurance is more than technical solutions. Information Assurance is a defense in depth that balances Technology, Policy and Practice, and Awareness, Training and Education. The students apply this knowledge through industry best practices and the Federal Information Security Management Act (FISMA). All students in the Idaho State University program are aware of principles and practices in Information Assurance. Information Systems majors are provided with introductory skills and abilities to design and execute Information Assurance procedures and practices. Student choosing to emphasize Information Assurance or to seek Center for National Security Systems (CNSS) certifications, develop a full repertoire of skill ranging from Systems Administration to Senior Systems Management and Certification. 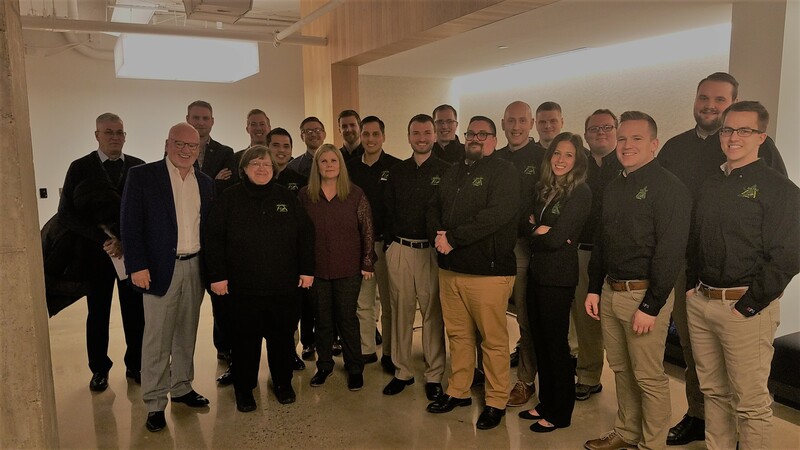 Each year, the program develops a cadre of highly motivated, educated Information Systems professionals who are knowledgeable in the principles of Information Assurance. The program goal is to reduce vulnerability in our National Information Infrastructure by promoting higher education in Information Assurance and producing a growing number of professionals with Information Assurance expertise in many disciplines. 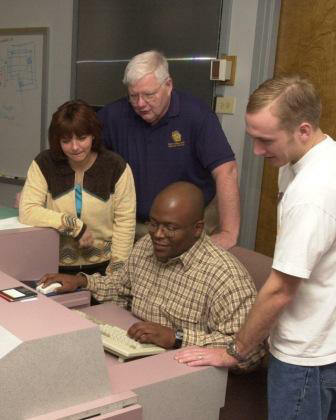 The overall quality of our program is demonstrated through our selection as a national Center of Academic Excellence in Computer Security Education and as a National Science Foundation Scholarship for Service school. Our Scholarship for Service program graduates are serving in management roles for all branches of the federal government. Many are now serving on several information assurance industry advisory and certification boards.